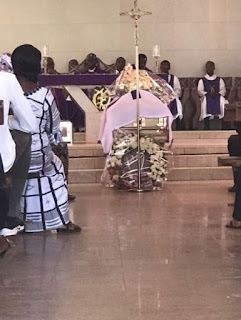 Franky Kuri, a former student of Holy Child School, Cape Coast and close friend of award winning dancehall icon, Ebony Reigns has finally been laid to rest. 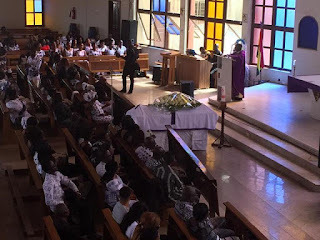 The burial service of late Franky Kuri, Friend of Dancehall artiste, Ebony Reigns is currently ongoing today, Saturday March 3, 2018 at Prince of Peace Catholic church in Kwashieman in Accra. 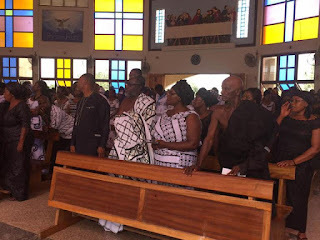 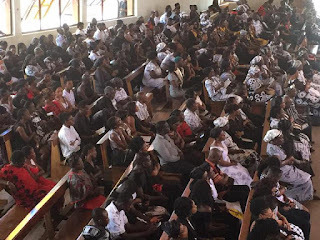 Some personalities present at the burial service includes the late Ebony's parents, Nana poku Kwarteng and Madam Beatrice Oppong, Renowned International Evangelist, Dr Lawrence Tetteh, actor Fiifi Coleman, Singer Efya and others. After the burial service, the mortal remains has reportedly been sent to a private ceremony at Achimota in Accra. 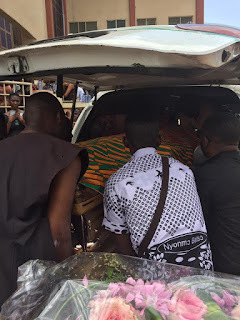 Born Francisca Maame Yaa Teboa Nkansah, Franky died in the accident that claimed the lives of Ebony Reigns and Lance Corporal Vondee Atsu Francis on Thursday, February 8 at Nyame Bekyere near Mankranso in the Ahafo Ano South District of the Ashanti Region. 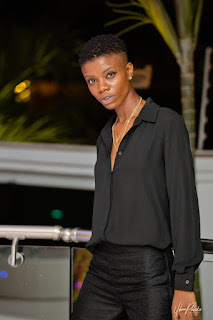 Franky had accompanied Ebony to visit her mother in Sunyani and were returning to Accra when the incident occurred. 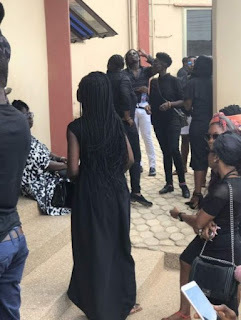 Meanwhile, her friend, Ebony Reigns will also be given a final resting place on March 17. 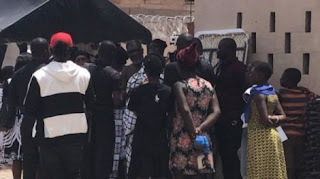 Her family has chosen the Independence Square for the final funeral rites of the female dancehall artiste.